Gingersnaps In The Morning: Who Wants Balls Pie? Top o' the mornin' to ye, my little gingersnaps on this glorious morn where we celebrate our non-existent Irish heritage and the man who drove snakes out of Ireland. Okay, so I happen to like snakes. And I'm not really Irish. Well, technically I'm only 1/16th Irish and 15/16th's German, so I don't think that counts... though it was that one Irish ancestor that the red hair got passed down from. Anyway, I named one of my kids "Seamus" so I think I get a few Irish props for that, don't you think? 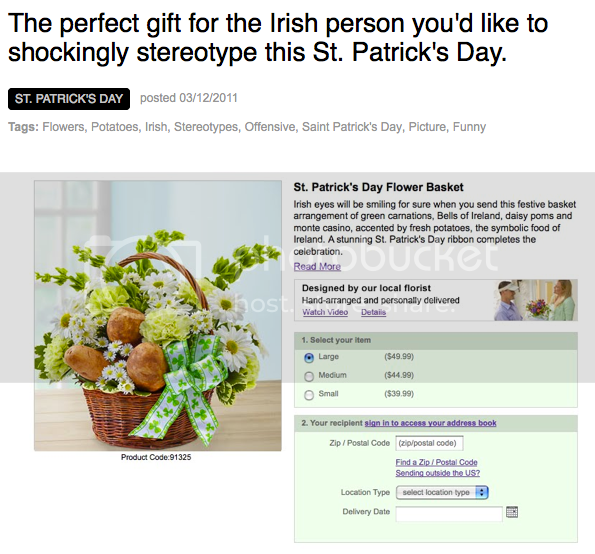 And let us remind our Irish friends of the Great Potato Famine by sending them a St. Patrick's Day 1-800-Flowers bouquet filled with... potatoes. For $50 I sure hope they are organic potatoes. 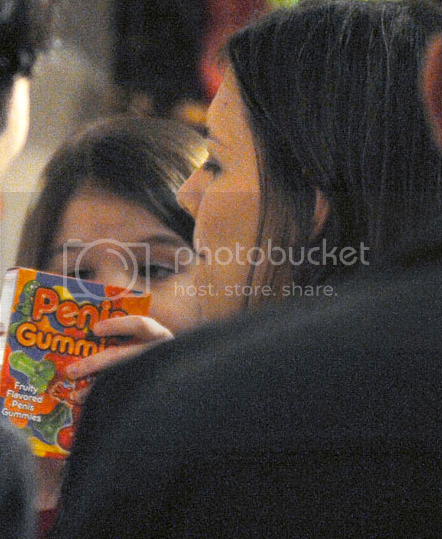 Onto celebrity kid news, I'm not exactly sure why Tom Cruise and Katie Holmes' daughter Suri is doing with those... uh... gummy hee haws. Perhaps it is a gift for daddy? 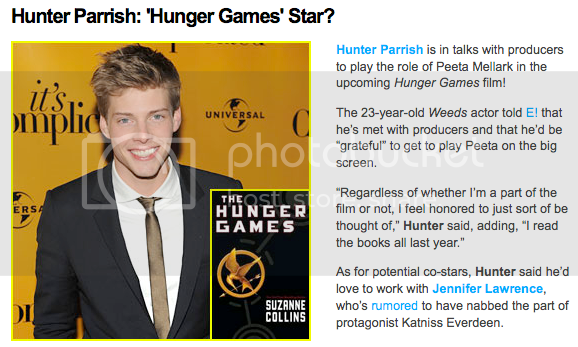 In other news, I have no idea who this Hunter kid is, but I can totally see him as Peeta just from that picture. (I love you Alex Pettyfer but you're not Peeta) Anyone see the irony in his first name if indeed he is cast in "Hunger Games"? And now it's time for... PARENTS SHOULDN'T TEXT!!! Hey, WTF??!! 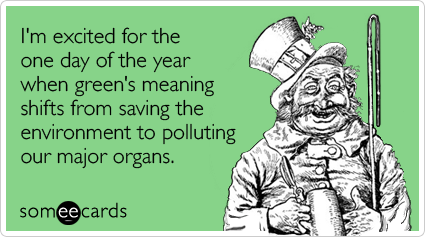 Just a friendly reminder that unless you want to get pinched, you should wear green today. Just like this lady is doing. Oh and feel free to shake your groove thing in public while you're wearing green. And that's all the time I have for today. Don't forget to check my previous post that went up mid-day yesterday, announcing Mr. Ginger's blue hair campaign. Until tomorrow, everything in moderation, including moderation... except when it comes to green beer. Happy St. Patrick's Day!